It shouldn’t come as a surprise that Millennials hate calling call centers when phone calls are beginning to decline as a form of communication when compared to other methods such as texting or emails. With all the methods of communication, you wouldn’t think that making a phone call would be getting the short end of the stick Plus, considering how much easier it is to accomplish your problems just by picking up the phone, it makes you wonder why Millennials hate calling call centers. Check out the reasons below. Let’s face it: nobody likes waiting for a call center representative to answer the call. Today, most people truly don’t have 30 minutes to sit around so they can speak with someone to address their issues. Millennials expect to have the information or to have their problem solved right away. If you’re receiving a phone call from a Millennial, then it means they weren’t able to find the information themselves, and they fully expect the agent on the other end to have the answer. If you can’t solve the issue from the first call, then they’re going to come away from that experience with negative feedback. If waiting for a customer service representative wasn’t irritating enough, once the caller finally reaches an agent—they’re placed on hold again. Nobody likes being on hold. Even previous generations don’t like being put on hold. One minute of hold time can seem like an eternity! 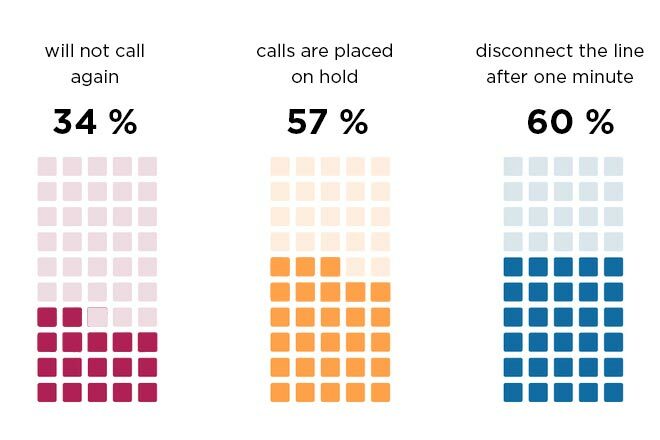 Nearly 57 percent of calls are placed on hold and 60 percent disconnect the line after one minute. When the average wait time is at least 90 seconds, this is a serious problem. Not to mention that 34 percent will not call again, resulting in lost business revenue. 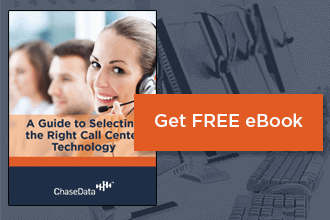 When you hate calling call centers, why waste your precious time when you could use a variety of better options? There are self-help options, such as through the IVR system. Millennials can reach out for online support via email. They can fire up the chat app or even through social media pages. Using these additional communication options allows them to get their issue across and receive a solution faster than if they were to call a call center instead. It’s not necessary to speak with a representative when you have these other choices—choices that don’t involve talking on the phone. Unfortunately less than 20 percent of Millennials use phone calls as their primary form of communication. This can be somewhat attributed to phone anxiety, which is far more common than it used to be in previous years. Conflict avoidance can be accomplished by not confronting another person on the other end of the line, someone who might have an opinion different than your own. Or, perhaps the bill you don’t have the money to pay. Some Millennials work in an environment where they have to be on the phones all day. This can also create a natural aversion to speaking on the phone. Texting or email is simply less overwhelming and stressful. This is a big one because, in this instant gratification time period, Millennials want everything done right away. It seems like every time they call in to receive help from a business; the agents appear to be breathing props for the company. The customer service representatives don’t understand their job or how to help solve the problem at hand. On top of that, call center agents don’t have the authority to make a solid decision, which makes the frustrated client regret calling in at all. What’s the point of calling in to speak with someone if nobody seems to be able to help fix the problem? 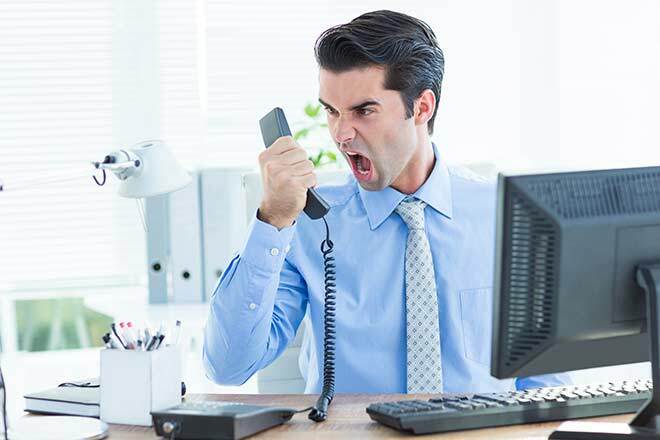 Call center agents should be trained to deal with angry customers so as not to leave them feeling undervalued. Making a phone call to their favorite aunt, mom or brother is already slightly annoying because really, Millennials don’t actually want to talk to people. They truly hate talking to any person for any reason at all. Texting is the preferred method of communication among the majority of Millennials. When they have to call to schedule an appointment for the cable guy come out to address the outage—yet again—they’re more than slightly perturbed. Offering chat support is convenient and allows them the opportunity to multitask while waiting for a representative. Phone calls take up so much of their time. They’ve got better things to do, like work out at the gym. Or, perhaps they simply don’t want to be interrupted during their favorite television show. If they were honest, some would even admit to not wanting to pick up the phone to make a call because they just didn’t want to. Social media is extremely popular and should be leveraged as a support channel for your clients. Millennials don’t like having their privacy invaded by the group hanging out nearby on the patio outside of their workplace. If they have to get on the phone, then they’ll need to whisper or walk across the parking lot just to make sure nobody can hear their conversation. Millennials grew up with years of technological experience. They’re used to doing things for themselves. It’s not uncommon for them to believe a customer service agent will get it wrong, which is another reason to ensure your call center agent training is extensive. The only time they want to speak with a live person is if it’s the absolute last option. Otherwise, they’ll exhaust all other avenues. Another reason Millennials hate calling call centers is they already understand the benefits and importance of digital communication. They want answers to their issues today, not tomorrow. They want to see the proof in the pudding, but not have a prolonged discussion about it with a customer service agent. They’re also more likely to part ways with a company after a negative customer service interaction than previous generations. To ensure the future, it’s essential for call centers to leverage rapidly evolving technology to retain the business Millennials bring to the table.